The manager of Bulgaria's embattled and scandal-ridden Scientific Research Fund, Hristo Petrov, has resigned. Prime Minister, Boyko Borisov, has already accepted the resignation, the Bulgarian National Radio, BNR, reported Monday. Petrov deposited his resignation after it emerged that a probe of the Inspectorate at the Council of Ministers had established staggering violations at the Fund such as hiring people without the required qualifications and violations in assessing scientific bids for financing. Djankov said Monday the probe listed over 60 "initial recommendations" in the hiring and project evaluation practices of the management. He pledged to reveal more next week, after the Finance Ministry's careful examination of the report. It remains unclear if Ignatov will face sanctions. "My personal opinion, after seeing the report, is that Minister Ignatov also deserves some criticism, but the law as it is does not allow the education minister and other units to exercise enough control. 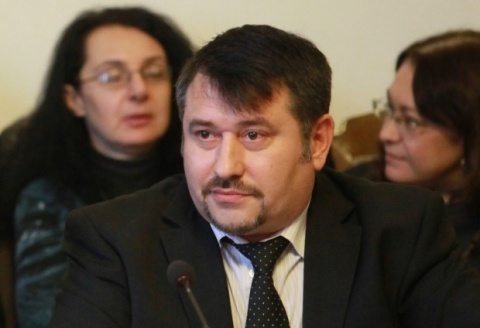 Ignatov and his team must respond within 15 days to the recommendations and prepare legal amendments," said Djankov. The participants in the Monday meeting, which included some now very well-known names of outraged scientists, such as Professors, Emil Horozov and Miroslava Kortenska, and young researchers, Hristo Lafchiev and Victor Atanasov, have joined around the idea that current law must be changed. They also informed they were calling off the next protest rally, scheduled for Wednesday, over Petrov' resignation and in awaiting the legislative changes. The Chairman of the Parliamentary Education Commission, Ognyan Stoichkov, told BNR Monday he will request the report and will summon Ignatov for a new hearing if violations are indeed to be found in it. At the first hearing, Ignatov denied any wrongdoing at the Fund.